A Code Bloom favourite and best seller! 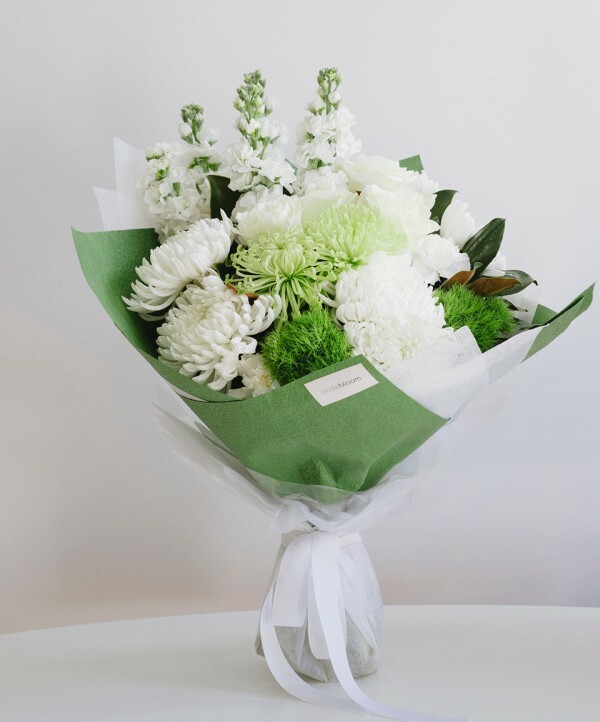 A stunning, classic combination of elegant white and green flowers, tastefully arranged together and teamed with luscious tropical foliage. This bouquet is suited to absolutely every occasion and is a sure crowd pleaser.